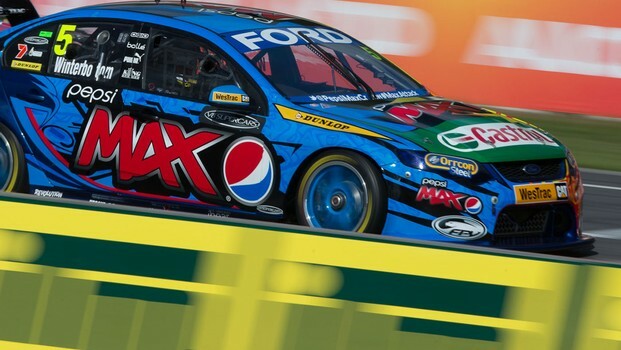 The Red Bull Commodores looked to be fastest in Practice Four today - but it was Mark Winterbottom, with 20 seconds to go, who popped up at the top. Jamie Whincup was the first driver to get in the 1:02min, but it is Winterbottom who has the new lap record, with a 1:02.6918. The two were followed by Fabian Coulthard, Craig Lowndes, Shane Van Gisbergen, Scott McLaughlin, James Courtney, David Reynolds, Lee Holdsworth and Michael Caruso. Tomorrow we will see qualifying, a top 10 shootout and two races as part of the ITM 400 Auckland.